Last week, Dr. Damon A. Williams began a senior-level job at the national headquarters of the Boys & Girls Clubs of America (BGCA). As the organization’s new senior vice president for programs, training and youth development services, Williams is charged partly with connecting higher education to the Atlanta-based organization that annually serves more than 4 million youngsters. Recognized for his work as both an administrator and scholar of higher education diversity, Williams brings the experience to his new position of being an alumnus of the Boys & Girls Clubs from when he was a youth in Dayton, Ohio. “Boys & Girls Clubs are known for being safehavens for young people. It played that role for me when I was 11 until about age 15,” said Williams, who recently held the position of vice provost and chief diversity officer at the University of Wisconsin-Madison. “I think where higher education is going is to a place where we have to be more dynamically in partnership with community-based organizations [and] with K-12 school systems. … A great part of my [new] role … Is that I have an opportunity to be a key voice in helping to build stronger partnerships with higher education,” he said. Wisconsin’s Division of Diversity, Equity and Educational Achievement, Wisconsin students worked with entities and personalities such as the New York Knicks, the Hip-Hop Sisters Network and Russell Simmons.Williams, the founding director of the Division of Diversity, Equity and Educational Achievement, has recently authored Strategic Diversity Leadership: Activating Change and Transformation in Higher Education and co-authored The Chief Diversity Officer: Strategy, Structure, and Change Management with Dr. Katrina Wade-Golden. He explains that, while he has forthcoming commitments to speak about his books to higher education audiences, he expects to incorporate how the work of the Boys & Girls Clubs can contribute to American higher education. “One of the things I really explore in the [Strategic Diversity Leadership] book is the need to expand the base of young people that are going on to college and to really open up the preparation that will allow folks to be able to compete in the world we live in today. And that’s going to require postsecondary education,” Williams said. 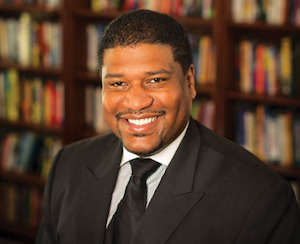 This Thursday, Williams will lead a webinar entitled “The Chief Diversity Officer: Strategy, Structure, and Change Management,” whose content largely derives from the book he co-authored with Wade-Golden. The webinar is sponsored by the National Association of Diversity Officers in Higher Education (NADOHE), a group whose members became well aware of Williams’ diversity work over the past several years. “[Williams has] moved to another venue, but I still think he’s still going to be a major thought leader and a major contributor to the diversity agenda in higher education,” said Dr. William B. Harvey, the education school dean at North Carolina A&T State University and the founding NADOHE president. Ozzie Harris II, the senior vice provost for community and diversity at Emory University, said he thinks Williams would have an immediate impact with Georgia-based higher education institutions should he reach out to them. Among higher education diversity administrators, Williams retains a great deal of credibility, according to Harris. “I think his work in general has been instrumental in helping chief diversity officers think about developing a strategic view for understanding how diversity might work on their campus, or campuses,” he said.